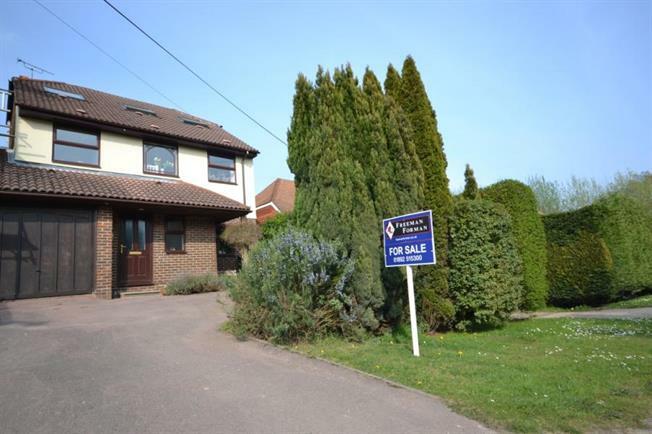 5 Bedroom Link Detached House For Sale in Tunbridge Wells for Guide Price £650,000. Freeman Forman are delighted to present this spacious link detached house, offering over 1700 SQ FT of floor space, located in a popular central location within reach of the town centre and the mainline railway station. The property benefits from an impressive loft conversion and a rear garden backing onto fields. The accommodation includes an entrance hall, cloakroom, sitting room, and an open plan kitchen/dining room. Stairs rise from the entrance hall to the first floor landing where a large master bedroom and en-suite can be found, along with three further bedrooms and a bathroom. A further staircase then leads to the second floor where there are two further rooms creating a choice of uses as playroom or office or bedroom and a shower room. The accommodation has a gas central heating system and double glazing throughout. Outside to the front of the property is a driveway for off road parking and access to the single Garage. There is gated side access to the rear garden which offers a good level of privacy and seclusion. An internal viewing to appreciate the overall size and flexibility of the accommodation comes highly recommended.